Like many others, I recently started an account on Twitter and have a lot of questions about how Twitter works. Over the last couple of weeks I’ve been researching everything Twitter and I have some resources I’d like to share with my family and friends (old and new). There are plenty of “how to’s” out there in google-land, and you can search www.youtube.com if you’ve got a lot of time on your hands. Or you can go for the ones I found. Here’s a good video by Rich Brooks (therichbrooks) on How to get started on Twitter. This is worth watching before you go setting up your account. Mr. Brooks has more videos that follow on from the one above. I do recommend viewing these, they’re only about 5 minutes each – and you’ll be so much hipper when you’re done (don’t forget to come back!). These links open in new windows. How to find and follow people on Twitter – so you don’t feel like you’re on the outside looking in. 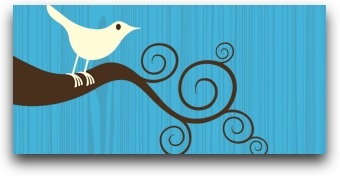 Twitter is about building a social network and here’s how to get started. How to gain followers on Twitter – tips including how to find trending topics and the people who are tweeting about them, so you can join in the conversation too. How to engage people on Twitter – “increasing your sphere of influence” through replies to tweets (@username), direct messaging users who are following you (D username), or retweeting (forwarding) another user’s tweet (RT @username with message content copied). Most twitterers recommend it’s a good idea to use your own photo — very likely there are a few folks out there with the same name as you and you want your friends following YOU, right? That’s where a picture helps. Replace that goofy looking avatar with your own mug shot. If you scroll down to the bottom of your Twitter home page, you’ll see a link called, appropriately, Apps (http://twitter.com/downloads). This is where you’ll find links to download various third party applications that enable you to engage with your Twitterati from your desktop or mobile phone without visiting your Twitter web page. 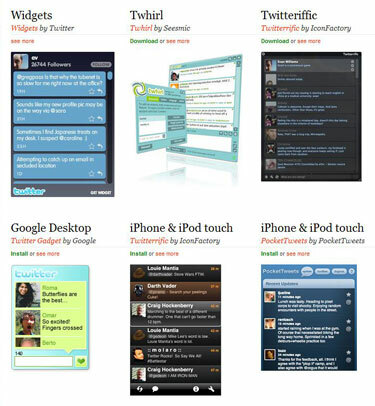 Currently available: Widgets, Twhirl, Twitteriffic, Google Desktop, iPhone & iPod touch (2 apps), TweetDeck, Widsets, Opera, Spaz, Blogo, and Digsby. TweetDeck seems to be very popular and I’m using Twhirl myself. Just because I liked the color. Honest. Twhirl has quite a few features accessible through the wrench configuration icon at the top, including being able to manage multiple accounts (to keep business and personal separate), change color schemes, and set your notification preferences. And I just discovered that when I hover over the person’s picture in the Twhirl tweet stream, icons pop up enabling me to reply, direct message, retweet or add to my favorites (on my Twitter page). Timesaving shortcuts! I like it. Another useful feature is an integrated URL shortening service. In Twhirl, click on the link icon at the bottom right and in the popup window you paste in the URL of a link you want to use in your tweet. Bingo it comes back with a shortened URL that won’t eat up your 140 characters. Just copy and paste the shortened URL into your tweet and you’re good to go. An example of this is shown in red in the first line of the image below where I shortened the URL of my post about the Outlook plugin Xobni to 17 characters. Without the shortening service the actual URL is about 70 characters — http://lindafarmer.com/2009/03/xobni-organizes-your-outlook-inbox.html — fully half of my 140 character allowance. At the bottom of every tweet you’ll see a time and date stamp with a note “from web”, or “from Twhirl”, or “from TweetDeck”, for example. This tells you which application the tweet was posted from. Again, you’ll find all these from the Apps link at the bottom of your page. As Twitter tells us, “There are even more Twitter apps, visualizers and geegaws listed over at the Twitter fan wiki.” Check out the link, this is a very comprehensive list of resources. At that link Apps are categorized for Windows, Mac, and Linux, and multi-platform systems. Scrolling further down the page leads you to a host of apps categorized by interest: Badges and Widgets, Business, Diet and Exercise, Entertainment, Games, Groups, Follow Management, Posting and Alerts, Productivity, Search Engines, Shopping, Travel, Trends, Visual, Weather, the ever-useful “Other”, and finally Mobile Apps. Mindboggling … Okay, I have a headache now, so I’m going to stop. Be aware that these are all third party apps and not supported by Twitter — proceed with caution. Here are a couple of cool ones from the listing that I’ve had a peek at. www.nearbytweets.com – instantly find twitterers nearby, just enter your zip code to view a tweet stream from your area. Or check out twitterers from your birthplace. Or Hollywood, or … You can also add keywords to refine your search to subjects of interest. www.tweetlater.com – allows you to set up alerts and track keywords in the tweet stream; manages multiple accounts; automate thank yous to followers (bah! ); schedule tweets. 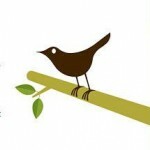 www.tweetree.com – puts your tweet stream in a tree so you can see the posts people are replying to in context. It also pulls in external content like twitpic photos, youtube videos and more, so that you can see them right in your stream without having to click through every link your friends post. 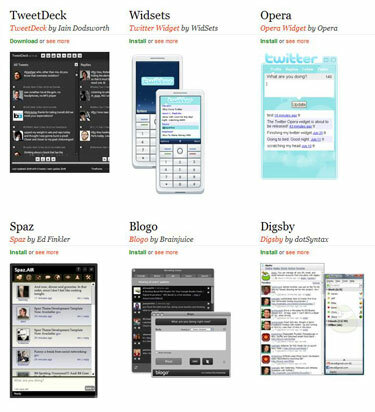 www.retweetist.com – a twitter stream aggregator, this lists the current most retweeted tweets, most retweeted URLs, most retweeted people. Tabs take you to pages showing the top 100 in those categories in the last 24 hours. And a page on how to retweet. www.hashtags.org – similar to retweetist, only this website allows you to see which hashtags people are following “allowing users to track what’s happening now” by popularity, most recent, people. Hashtags are a keyword preceded by a # (hashtag). For example fans of the TV program American Idol, can contribute a tweet to the conversation about the program by including #idol in their tweet. And presumably thereby connect up with fellow fans. www.tweetchat.com – here you can view the tweet stream of a topic of interest to you when you enter its hashtag. Which you found in #5 above. www.celebritytweet.com – with the proud byline claiming you can “stalk celebrities online”. Good grief. Once you get your account set up and send out a tweet or two, and/or invite your friends to follow you, you will receive email notifications from Twitter that you are being followed. Visit your new follower’s Twitter page, check out their posts and perhaps visit their website from the link given in the upper right side of the page. If you find that follower of interest to you, you can follow them too. You are not required to follow your followers. Some are not far off spammers, aggressive users who just want to promote their products or services to as many people as possible, so they start following you. And you can even block them if you wish. But most followers are genuinely interested and interesting. And you can send them a direct message to thank them for following you. Slowly your network will build. And of course you can always visit the Twitter help portal at: http://help.twitter.com/portal for information from the horse’s mouth, er … bird’s beak. Unless you are sending a direct message to your followers (and even your real friends might not give a darn) remember that every message you tweet not only goes to all your followers, but it also goes straight into the public timeline. So it’s preferable that you don’t tweet about what you ate for breakfast. Or that you just ate breakfast. Or … well, you get the idea. Folks can get annoyed when their time is wasted sorting through the mundane. Try to tweet something interesting or useful. Conversation-worthy stuff. Go out on a limb, chirp in! Go ahead, you are now fully prepared to start your Twitter account and begin tweeting. If you feel inclined, you can follow me on Twitter at Linda_Farmer. Although compared to most other users I’ve seen, I am a very quiet bird. And please share what you’ve learned out there in Twitterland by leaving your tips in the comments. Cheers … and expect good things. Categories: General , Technology | 2 comments - be the next! Your Intro to Twitter stuff is excellent! You really are great at researching these techno things and distilling all that info into a compact, easy to understand explanation for those who are less techno-gifted! 🙂 a bientot. Lady K.
Thanks for the great feedback Lady K! Glad to see that what I enjoy doing helps others. Appreciate you taking the time to comment.